So, there it is. What a season from the reigning champ. At times it looked like the Ferrari would be too much of an obstacle on his way to equalling the great Juan Manuel Fangio, and on very rare occasions he wasn't performing as well as he's expected to perform. But just like last year, he came back stronger than anyone else from the summer-break while the opposition imploded under the massive pressure that comes with a WDC-battle. The route to title #5 has been full of memorable moments and races, such as Hockenheim when he won starting from P14, Monza when he showed what a brilliant racer he is with a perfectly dosed aggressiveness against Vettel and Kimi or Singapore when he was untouchable the entire weekend and just one step above everyone else. He won races which on paper he shouldn't have won, while also winning most of the races he was expected to win. Being the unquestionable rainmaster of this generation he put the car in places it didn't deserve in qualifying, which gave him an opportunity to steal points from Vettel like in Hungary. 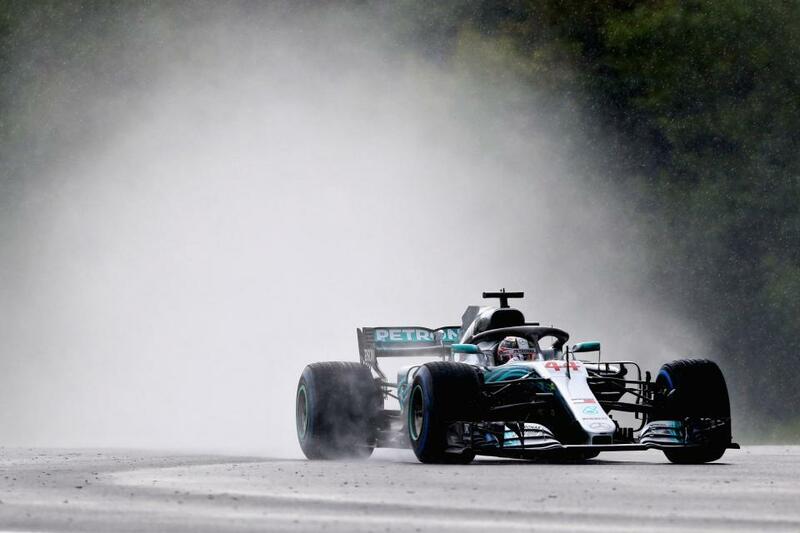 All in all, you won't find many seasons in the history of F1 when a particular driver deserved a championship more than Lewis Hamilton in 2018. Congratulations on 5 World Drivers' Championships, Lewis! Onto the next target which can only be to beat the rest of Michael Schumacher's significant records and further establish yourself as one of the greatest F1 drivers of all times. 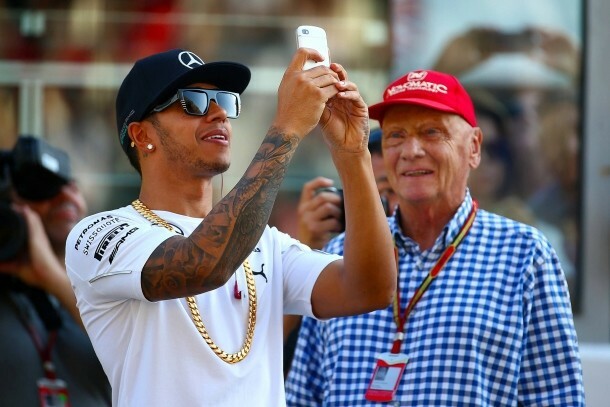 A great champion on and off the track: Lewis taking a selfie with an elderly fan. Bless! Congratulations to Hamilton and Mercedes on an outstanding season and a thoroughly deserved championship. Probably his best season in terms of consistency and speed. Legend! Great season by Hamilton. He's shown to be a class above the likes of Vettel. Jesus christ, that Will Smith thing was ****ing terrible! Most deserved World Title I've witnessed! No other driver on the grid was close in terms of getting the most out of his package! Massive congratulations Lewis. Absolutely inspiring. A well deserved title, clearly the driver of the season. Congratulations! Probably his best season in terms of consistency and speed.Legend! I think his best seasons given the cars were 2008 and this season. Remember 2008 Ferrari was deadly fast... 2017 was pretty good too as far as consistent too. Hyperbole much? Well done anyway. Guy is a boss in the wheels but i really dislike him outside the track, never the less a 5 times world champion a legend and a well deserved championship yet hopefully this is the last wdc i get to see from him. Lewis' form since the summer break has been insanely good. To the extent that some of the errors from the red camp may well have been caused by the sheer pressure of trying to compete with him. In my opinion this has been Hamilton's most impressive championship with Mercedes. Even if Ferrari and Vettel helped in that it speaks volumes that he secured this title with so many races in spare despite not having a clear car advantage. There were tricky periods in the season which he and his team overcomed brilliantly. His best championship for sure, congratulations! Best driver by far this season. Almost faultless the whole season. 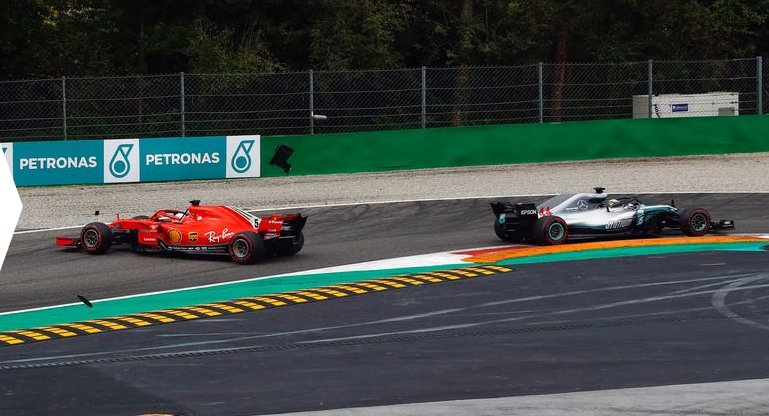 Mercedes was not worthy of taking the title this year, it was clearly slower than Ferrari over the course of the season. 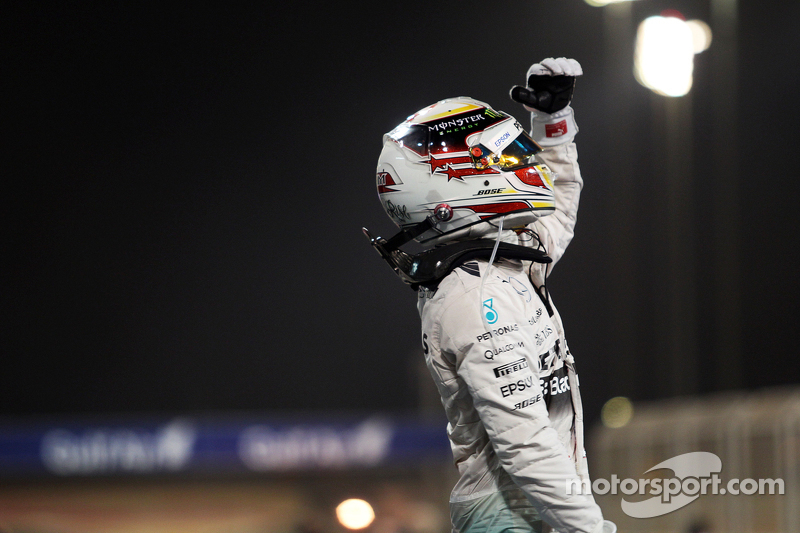 But the magic from Lewis and constant mistakes from Ferrari drivers gave Lewis the chance. Levels with Fangio. What a legend. Easily the best driver this season. Have a feeling it's his last championship for some reason. Congratulations to Lewis Hamilton on winning his 5th World title , well deserved . Congrats to Lewis! Easily the best driver out on the grid who is clutch during the important moments of the season. Of the current drivers on the grid he deserves to be the 5 time world champ. Congrats Lewis, the best season of his career so far. Ahhh man I'm f****** crying. Woke up at 2.30am, and worth every second. Some will continue to hate, but he has no option other to be considered an all time great now. indeed. The only driver who I believe Hamilton would be afraid of is Max (now that Nando is off). He can still go on and win a couple of titles. So impressed by him this year! Big, big, heartfelt congratulations! Awesome all year! Lewis was truly the best by a solid margin. Congratulations GOAT! His best season yet. Congratulations Lewis, well deserved. Good job! Pity it came on Merc's worst showing of the season but some phenomenal qualifyings and races and no race impacting errors made it a bit more of a canter in the end than it should have been. This was probably his best season yet, well done sir. one of the best seasons ever, great driving by Lewis this season, absolutely sensational. Congratulations Lewis on a well-deserved fifth World Championship! Ferrari has only crept closer and closer the past 3 years. This year they arguably were already better. Next year Ferrari only needs to be that bit better than this year for Vettel not to make those mistakes under pressure and it all looks very different. What an amazing season Lewis Hamilton has had. A totally well deserved 5th World Championship! Amazing season from the best of his generation. That one had been really bugging me, so I'm very glad it's done and dusted now. Edited by OO7, 28 October 2018 - 21:18. Best man won it. Congratulations to Lewis His best season to date. Ferrari are already good enough, they could have won last year and this year but Lewis' driving made the difference. This year they arguably were already better.